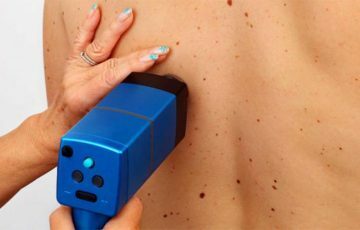 ﻿ How Fast Does Melanoma Spread on any part of your Body? Skin Diseases > Melanoma > How Fast Does Melanoma Spread on any part of your Body? New cells are constantly made to replace old and worn-out ones. This process continues throughout life. Several mechanisms control the rate and manner in which the process takes place. The DNA is primarily responsible for controlling the process. Sometimes, changes in DNA occur. In case of cancer, the changes result in fast-dividing cells that don’t die naturally like they should. 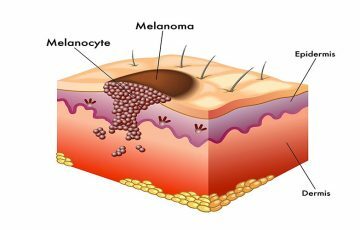 Melanoma develops when the changes occur in melanocytes. 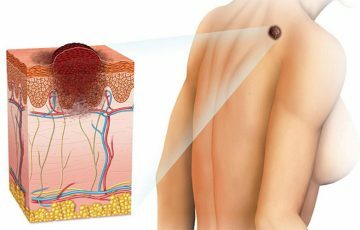 Melanoma is described as the most invasive and deadly skin cancer. This is mainly because its cells have the ability to break free from the primary tumor and invade other organs. In fact, early stage melanoma is very treatable and almost harmless. This changes drastically as the disease becomes invasive. How fast does melanoma grow? 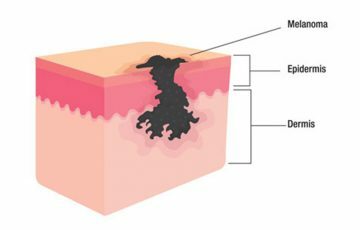 At stage 0, the melanoma is only confined to melanocytes in the upper layer of the skin known as the epidermis. Here, the disease grows very slowly since only a few cells are capable of rapid division. Symptoms only show up on the affected areas. More cells are taking part in rapid division. 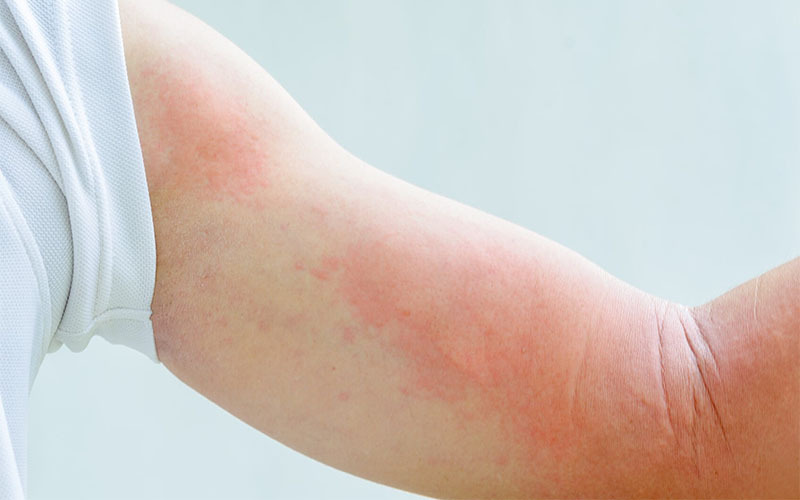 Signs of elevation or spreading across the skin may set in. Malignancy is, however, still confined to the epidermis. More cells have been made while only a few have naturally died like they should. As the functionless cells accumulate, the tumor gets thicker and penetrates the dermis. Later in this stage, the tumor will reach the subcutaneous layer of the skin and lymphatic or blood vessels. 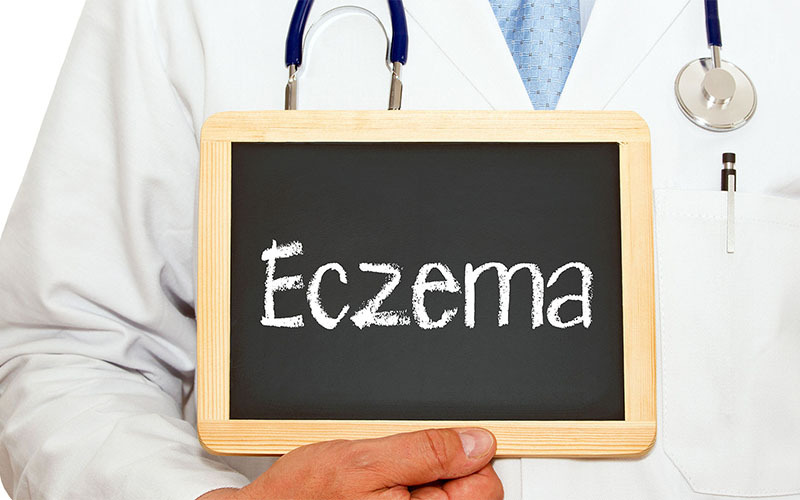 Enlargement also occurs on the skin as discoloration spreads and elevation increases. When melanoma exhibits these characteristics, it is said to be invasive. Once the tumor has reached lymphatic vessels, several malignant cells may break free and enter the lymphatic system. The cells will then be emptied in local lymph nodes during filtration process of the lymphatic fluid. If the lymph nodes contain melanocytes, the malignant cells will invade them. Here, melanoma reaches distant organs through blood vessels. It at this stage that the disease spreads the fastest. This is primarily because there are many more cells taking part in rapid cell division. 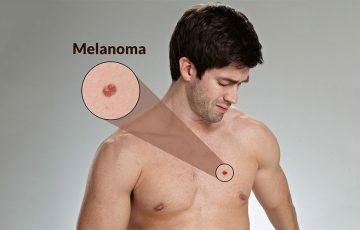 How fast does melanoma spread? This type grows and spreads faster than the rest. It usually begins as a red nodular lesion. Within weeks or months, the lesion will have reached the subcutaneous layer and possibly the lymphatic vessels. 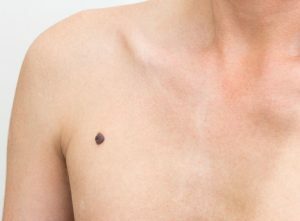 This type is responsible for most melanoma cases. It mostly shows up after the age of 40. In women, the legs are commonly affected while the trunk is a more common site for the disease in men. This type gets its name from the tendency to spread across the skin before becoming invasive. The ABCDEs can be used to identify this type in its early stages. However, some cases such as in the oral cavity can begin as white melanoma. Older people are more commonly affected by this type. Accumulative sun exposure is thought to be a main contributing factor. 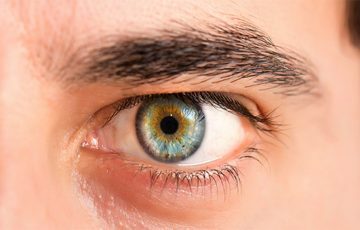 It usually begins as a dark spot which may be slightly elevated. Of all types, it is the slowest in growth. This is the melanoma that develops on hands and feet. 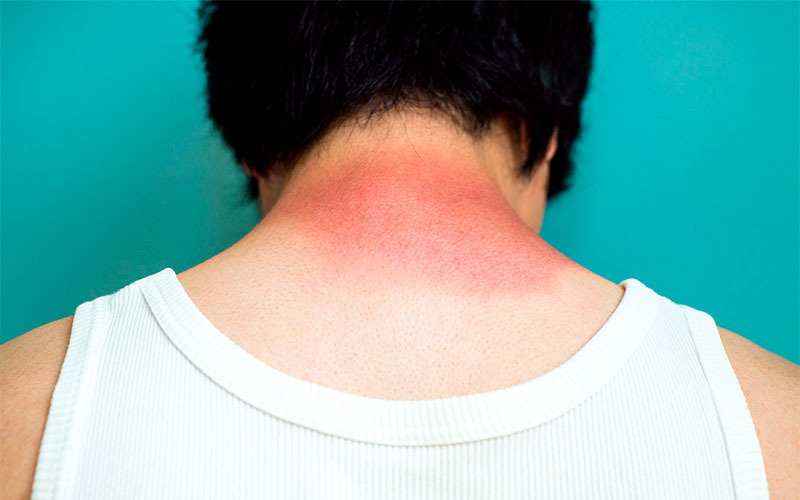 A spot or patch of discoloration is the common warning sign. Sometimes, the spot can linger for months or years before becoming invasive. 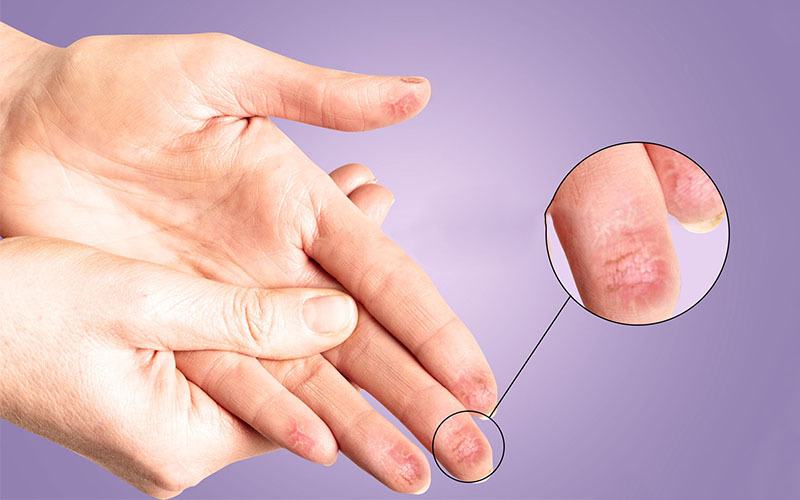 A subtype known as subungual melanoma that develops under nails is more invasive. 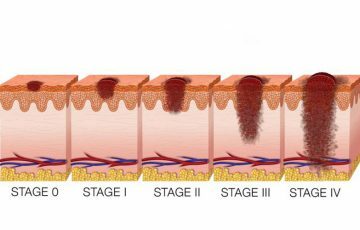 For melanoma to jump from one stage to the next, it has to invade surrounding tissues and later migrate. This means that the tumor has to enlarge, which in turn translates to the presence of more malignant cells. 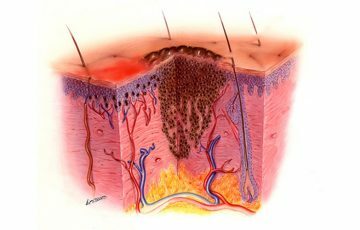 So the more advanced the melanoma is, the faster it will grow and spread. Nodular melanomas are most aggressive. The lentigo and superficial spreading types are much slower growing. 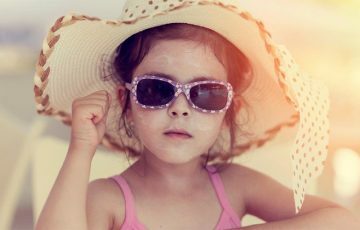 Other subtypes such as spitzoid melanoma in children and amelanotic melanoma are harder to catch early. While they may not necessarily be fast growing, diagnosis is often confirmed when tumors have advanced. An abnormal mole on the face or limbs is much easier to notice. The same cannot be said about a melanoma in the nasal passages. Additionally, mucosal membranes are much closer to vital organs such as the brain and lungs. This is not to mention the fact that mucosal melanoma symptoms can always mimic those of other more common conditions. Ulcerated melanomas are more likely to spread. This is primarily because cells have the ability to easily break free and enter blood vessels. It has been observed that some gene factors encourage cancers to develop much quickly than others. Unfortunately, this is highly dependent on the patient and cannot be universally described. Immune cells naturally recognize abnormal cellular activities and stop them. Cancer cells have a way of becoming invisible to T-cells. They accumulate substances known as checkpoint proteins. As a result, T-cells see them as normal body cells. This is only one of the several ways with which cancer cells hide from immune cells. A weakened immune system is therefore less likely effective in fighting melanoma. 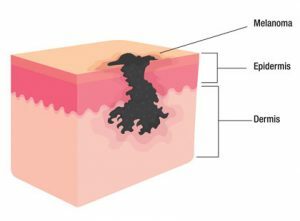 Where does melanoma spread to the most? 5 year survival rate is commonly used for melanoma prognosis. It estimates the number of people out of 100 who will survive for the next 5 years after diagnosis. Estimates do not provide actual prediction of what will happen. Your doctor will be in a better position to provide more accurate information. In situ tumors that have been surgically removed are least likely to recur. To avoid recurrence, wide excision is usually done. This involves removing surrounding tissue from a site where a primary tumor has been removed. 5mm to 2cm thick tissue may be removed. Once malignancy has spread to lymph nodes and distant organs, recurrence is much more probable. In fact, recurrence can occur several years after malignant melanoma treatment. This is why follow-up appointments and close monitoring are particularly encouraged. 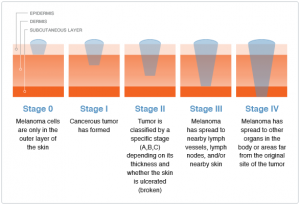 There have been cases where stage 3 melanoma recurred after more than 5 years. 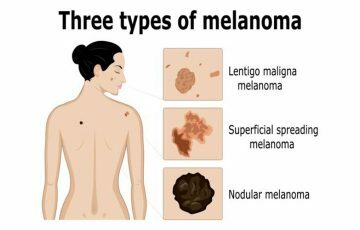 More information on early symptoms of melanoma cancer may help. This is especially for people from families with a history of the disease or have previously been diagnosed with melanoma. Melanoma has in the recent decades become a very common disease. It is only by learning how to identify it early enough that we may be able to prevent its complications.